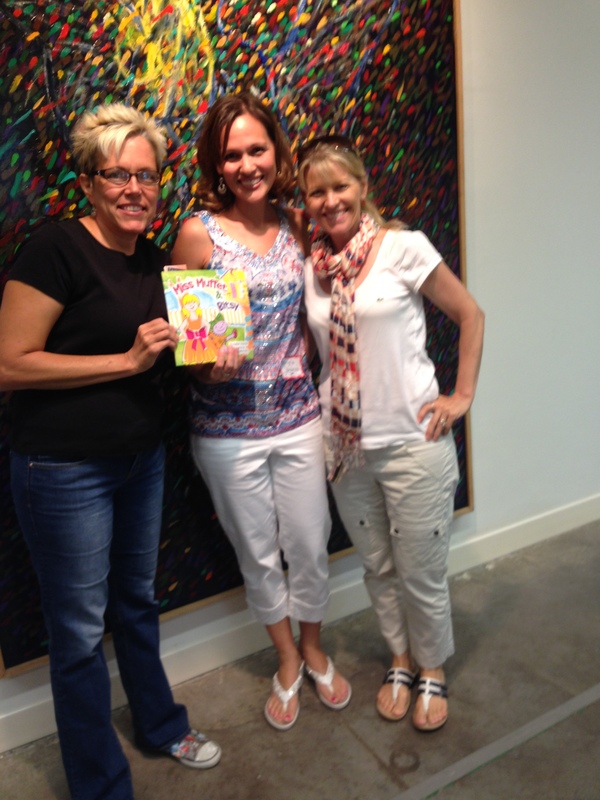 Angela Henderson (Kidsbook Friends Writer) with Author, Muffet Frische (right) and Illustrator, Cindy Rodella Purdy (left) of “Miss Muffet & Bitsy”. 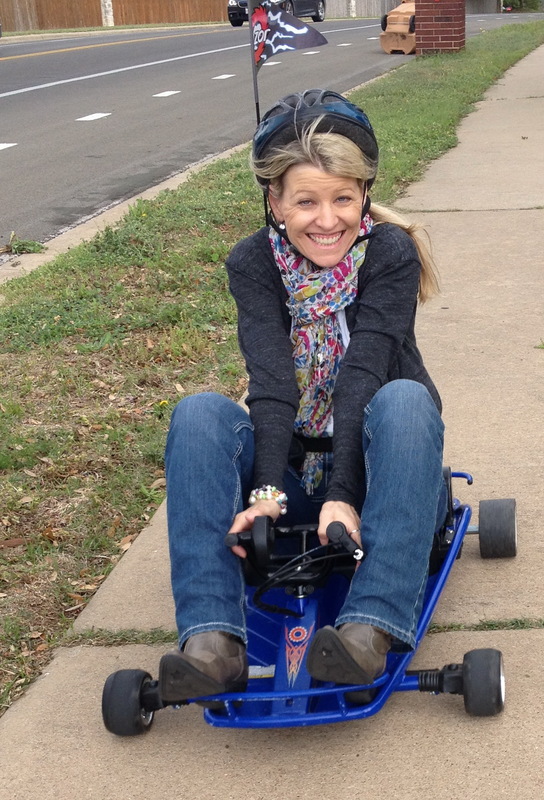 Fitting our Kidbook Friends theme this week, “Time for Nursery Rhymes”, we are excited to introduce our Guest Blogger today, Ms. Muffet Frische. Enjoy her insightful, fun experiences with Nursery Rhymes that led her to author her book, Miss Muffet & Bitsy. She also shares the benefits of reading rhymes to kids early in life that will inspire you. Merci, Gracias, and Grazie Angela! Many thanks to Angela for inviting me to talk about my new picture book, Miss Muffet & Bitsy. I am so excited to be guest-blogging on her amazing site, especially during “Time for Nursery Rhymes” week! A love of reading is one of the most important things I think a parent can pass on to their children. I can thank my parents for this among many things, but giving me my name has to rank at the top of the “thanks” list! My favorite nursery rhyme of all time, as you can probably imagine, is Little Miss Muffet. Even after hearing it hundreds of times, I never tire of it. Growing up with the name “Muffet” always—without a doubt—leads to the inevitable question, “Are you afraid of spiders?” Well, today I still have to answer that with a hearty YES! The idea for Miss Muffet & Bitsy began a few years ago. Many of my writer-friends kept telling me that given my name, I should write a book about Little Miss Muffet. I had many manuscripts in my files but had never written one about Miss Muffet. I finally said, “Why not? !” I propped my feet up on the nearest tuffet and began writing out several story lines, but they just didn’t resonate with my inner-kid. Then one day I saw a humongous spider (okay—I admit, it was probably about the size of a pencil eraser!) crawling on the windowsill, and the Itsy Bitsy Spider started playing in my mind. I thought of how afraid I was of the tiny creature. And it hit me—why can’t those two meet up?! I wrote the first book, then ideas for the characters blossomed, and a series was born. Whimsy and Talent and Color, Oh My! I knew I wanted the series to be bright and colorful, so when I met Cindy Rodella-Purdy at a Society of Children’s Book Writers and Illustrators event, we became fast friends and I fell in love with her whimsical, colorful style. I knew she was the illustrator for me! We worked closely together to create the characters and the setting. You will see several elements in Miss Muffet’s house and yard that are special to each of us. The swirly slide from Miss Muffet’s room to the backyard is something I always dreamed of having, and Cindy designed Miss Muffet’s Victorian home around the one she grew up in. And if you peek into Miss Muffet’s room, you’ll see that my hammock snuck its way into the story as well! What Every Author Loves to Hear: We want to publish your book! I have two tuffets, love curds and whey (a.k.a. cottage cheese – yummm! ), and although I still harbor a fear of spiders to this day, I do safely rescue any critters I find inside and relocate them to the nice, green, leafy bushes outside my front door! Au Revoir, Hasta la Vista, and Arrivederci! Thanks for joining us today! I hope you enjoyed a few tidbits from the world of Miss Muffet & Bitsy! 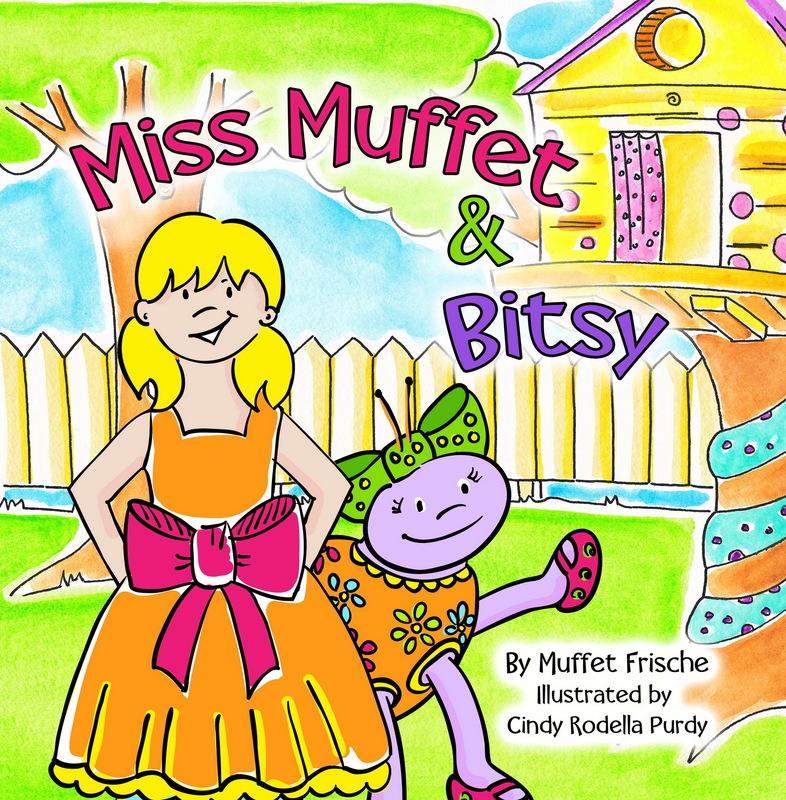 If you’re looking for a new, fun, refreshing picture book, please check out Miss Muffet & Bitsy on Amazon at http://amzn.to/1ley4nn. Happy reading! Muffet Frische is a writer, award-winning photographer, and travel buff, having been to all fifty states and around the world. After getting an MBA and working many years in corporate America, she found her true joy lies in bringing smiles to the faces of children, both from her books and her photos. She writes picture books under her name, Muffet Frische, and published her debut teen/young adult novel, Moon Tears, as M. M. Frische. She loves escaping to the ocean, sneaking as much chocolate as she can, curling up with a good book, and getting lost in the Smithsonian. Follow Kidsbook Friends on Facebook and at http://www.kidsbookfriends.com for creative activities, questions, and crafts that correlate with great kids’ books (for ages ranging from infant to eleven)! *Join us Thursday for Miss Muffet & Bitsy Blogged! This entry was posted in Nursery Rhymes and tagged Cindy Rodella Purdy, Litte Miss Muffet, Mother Goose Nursery Rhymes, Muffet Frische, Nursery Rhymes, Rodella Purdy, Ten Story Books, The Itsy Bitsy Spider. Bookmark the permalink.